Each spring, when the moment of truth arrives and we end an offseason worth of anticipation with a shotgun blast, we take for granted the story of survival that turkey has made to that juncture. Few animals, if any, face as perilous a trek as the wild turkey. From the day a wild turkey is laid as an egg until they die, some form of a predator is trying to have them for dinner. When you consider the number of predators targeting wild turkeys (everything from coyotes down to snakes), you wonder how in the world any of them ever make it. In fact, the legendary wild turkey researcher Lovett Williams once indicated that his studies had shown that out of 1,000 eggs laid, only four survived to be four years old. Sure makes you realize how lucky you are to harvest a gobbler with inch and a quarter spurs, huh?!?! Because turkeys are so vulnerable, we as Gamekeepers must give them all the help we can. By focusing on increasing the survivability rate of turkeys that begin their lives on your property, you stand a much better chance of retaining those birds once they reach maturity. I know from experience that poult management does in fact work, as my property has seen a spike in poult recruitment over the past several years as a result of our all-out efforts. After the season we had in the spring of 2012, I would highly suggest making poult management an integral part of your Gamekeeper program. In my personal opinion, the two key determinants in poult survivability are nesting/brood-rearing habitat and predator control. First, let’s briefly discuss nesting and brood-rearing habitat. Just as people want to live in safe neighborhoods, so do hens wish to nest in safe(r) areas. When I think of a paint-by-number nesting area, I think of a native warm season grass field of about ten acres that is surrounded by mature timber and adjacent to a clover patch. Native warm-season grass fields provide the right mixture of cover and access to help the hens hide the nest (especially from hawks and other airborne predators) and allow her, and eventually her clutch of poults, to move around. The nearby clover field gives the hen a place to “recess” and a place for the young poults to dine. One key, again in my humble opinion, is to have a number of these small, designated nesting areas scattered throughout your property, mainly because having several key nesting areas spreads out your predators and thus should increase the survival rate. I do not proclaim to be a biologist, but I basically classify anything that will eat a turkey while it is in the egg stage as a “nest predator,” and anything that will eat a turkey once hatched as a “poult predator.” Nest predators require the most attention in your management efforts simply because a turkey is most vulnerable as an egg, and the list of nest predators is staggering. Once a turkey hatches, they have 8 to 14 days until they can fly and as a result their mortality rate due to predation decreases significantly. However, they have to get out of the egg stage first. Additionally, because common nest predators, namely raccoons, opossums, and skunks, have much smaller home ranges than common poult predators such as coyotes and bobcats, I feel you can have a long term impact and truly “wipe out” the vast majority of nest predators on your property. We once had a major skunk problem on our property and killed over thirty in two nights that September. We rarely see skunks now; can you imagine how many turkey eggs were spared that following summer as a result of killing those skunks? Just like any other form of hunting, trapping requires a strategy, and if you are reading this then now, not tomorrow, is the time to begin formulating one. Where will the bulk of your hens nest this summer? Begin scouting those areas for tracks and once you have identified a key area, run a string of box-style traps baited with small pieces of deer meat (or anything else that may be naturally occurring). I recommend Duke Pecan Company’s Heavy Duty Single Door trap measuring 30 x 12 x 12 inches (call them at 662-494-6767 or visit their website at www.duketraps.com) and I recommend purchasing several to really “saturate” an area. Run a string of traps and check them every two or three days during the off-season to kill whatever is alive in the trap and re-bait if necessary. You should catch the bulk of your raccoons, opossums, etc. in the first couple of runs then you will see the success rate decrease. Be sure to move the traps around in the area (even a matter of 50 yards can help) and use rubber gloves to avoid leaving human scent. Once you feel you have knocked back the nest predator population in area, begin moving to other areas and start working on them as well. Also, check you state regulations to see if night hunting is allowed, as this is a great way to supplement your trapping efforts. Keep in mind that pressure and activity in your spring turkey hunting spots is important to consider, so you may have to adjust when you check your traps (maybe late at night versus morning). Run your traps year round and again, move them around to catch nest predators in other areas. Understand that even if you eradicate the majority of your common nest predators via trapping, you will still have predators such as snakes and crows that can wreak havoc on wild turkey eggs. That is the frustrating reality of predator control-it is a constant battle to stay ahead, and you will never save every egg. However, by taking out as many nest predators as possible, poults stand a much better chance of reaching maturity than if you stand idle and do nothing. While I firmly believe in trapping nest predators year-round, I do not feel trapping poult predators such as coyotes, foxes, and bobcats is effective unless there are actually poults on the ground in those areas. Poult predators have much larger home ranges than nest predators, with coyotes having an average home range of 8 to 12 square miles and covering an average of 2.5 miles per night when hunting prey. Because of their range, how can trapping a coyote in October really help you in May? It really doesn’t in my opinion. Whenever poults are beginning to hatch, there is a very critical window of roughly two weeks that will determine their survivability. If you can saturate an area with foot-style traps, or can have a professional trapper come in for a couple of weeks, then you can help your poult crop. Trap the predators any other time of the year, and a fresh batch of coyotes or bobcats will roam in to take their place. 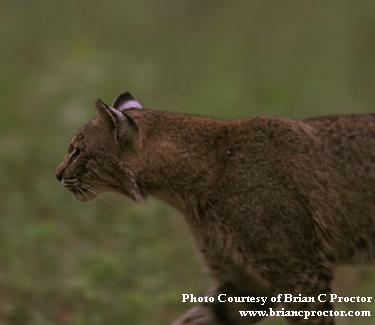 Be sure to place a special emphasis on bobcats, as they are generally regarded as the fiercest of all of the poult predators. Predators are extremely prolific, and thus you must make a continued effort in combating them an integral part of your Gamekeeper initiative. The key is to make it convenient and even fun. Get your kids involved in trapping, and make sure the strings of traps you have out are easy to access; if you make trapping burdensome then you will get burned out. Keep records of how many predators you trap/kill and try to keep annual reports on how many poults you see. I am confident if you focus on providing good nesting habitat and then trapping nest and poult predators, you will see a surge in the number of poults you raise annually!